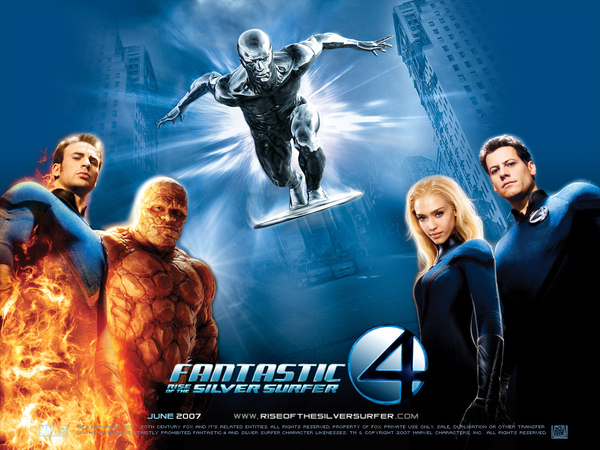 Marvel’s first family of superheroes, The Fantastic Four, meets their greatest challenge yet in FANTASTIC FOUR AND THE SILVER SURFER as the enigmatic, intergalactic herald, The Silver Surfer, comes to Earth to prepare it for destruction. As the Silver Surfer races around the globe wreaking havoc, Reed, Sue, Johnny and Ben must unravel the mystery of the Silver Surfer and confront the surprising return of their mortal enemy, Dr. Doom, before all hope is lost. 2007: 笑話７則 which do u like ?